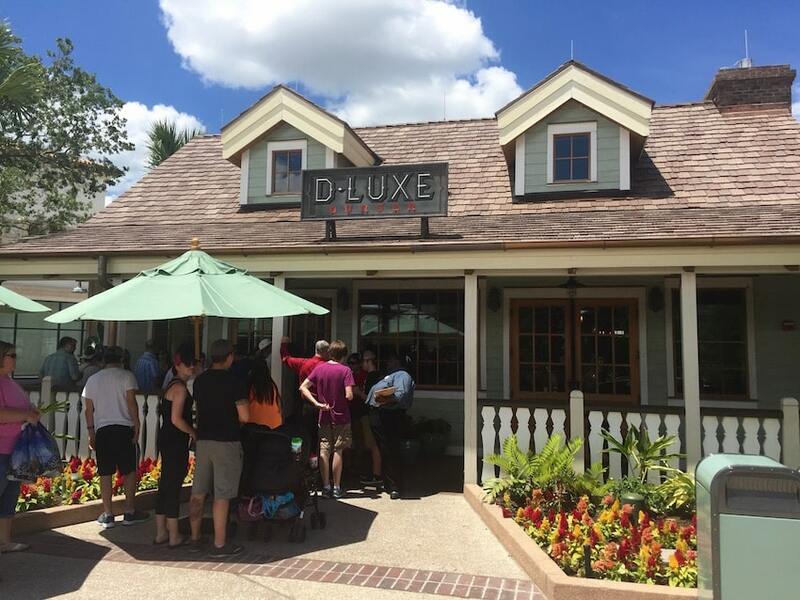 On my last trip to Disney Springs, I came across D-Luxe Burger, which is right in the heart of Town Center. This restaurant caught my eye because of its southern ranch style theming on the outside, including the wrap around porch, the rustic chandeliers and the wrought iron décor on the inside. 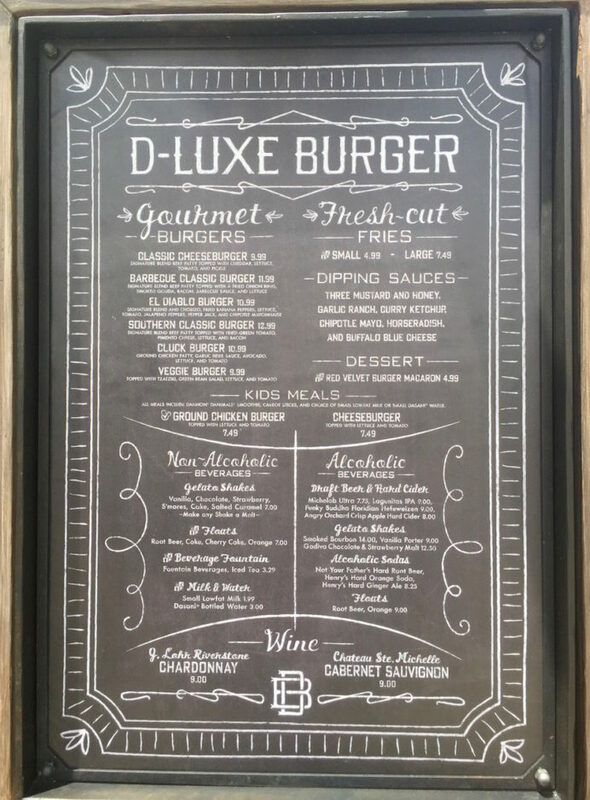 Below are my top 3 reasons why you should grab a bite to eat at D-Luxe Burger. the menu, the two that got my attention were the El Diablo Burger and the Southern Classic Burger. The El Diablo Burger comes with a chorizo and signature blend patty, fried banana peppers, pepper jack cheese, lettuce tomato and chipotle mayo. This burger was delicious. The blend of the banana peppers, pepper jack cheese and chipotle mayo gives it a small kick of heat, which is just enough to keep you going back for more. 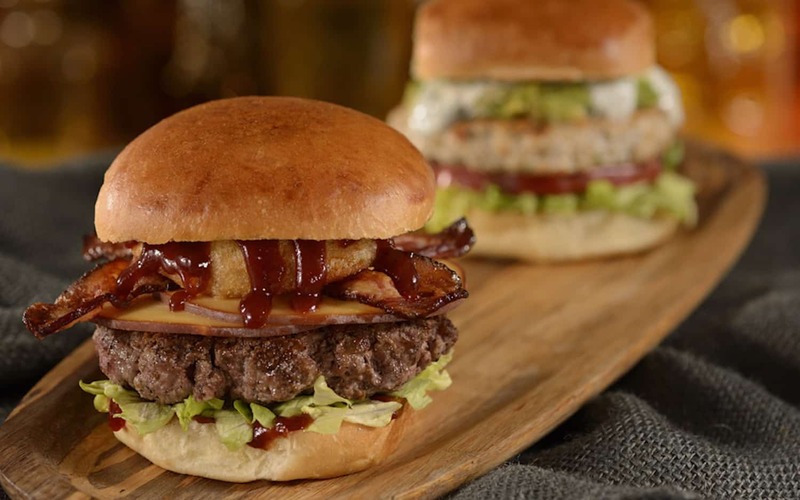 The Southern Classic Burger is made with the signature blend patty and topped with fried green tomatoes, pimento cheese, lettuce and bacon. While this one was not my favorite, as I am not a pimento cheese person, but I think it is one of their top sellers. I know for sure my Grandmother would have loved it, as she loved pimento cheese and fried green tomatoes. The Fries – The French fries are freshly cut right in the restaurant. Complete with skin and all they were delicious! The best thing about these fries, are the dipping sauces that you can order with them. You can choose from Garlic Ranch, Horseradish, Chipotle Mayo, 3 Mustard and Honey, Curry Ketchup and my favorite Buffalo Blue Cheese. You can order just one, or try all 6 at once, which is what I did. 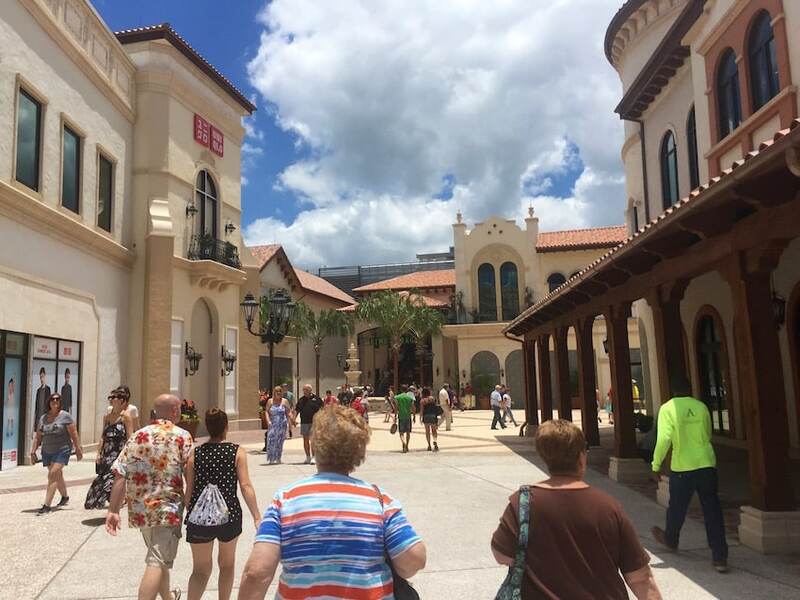 The Drinks – In addition to the normal Coke products, you can also choose beer, hard soda, hard cider and wine, including Funky Buddha Floridian Hefeweizen, Henry’s Hard Orange Soda and J Lohr Riverstone Chardonnay. But what really stuck out to me was their Artisanal Gelato Shakes. Now of course you can get the traditional Chocolate, Vanilla or Strawberry Shakes, but there are also a couple of what I called “adult” shakes. 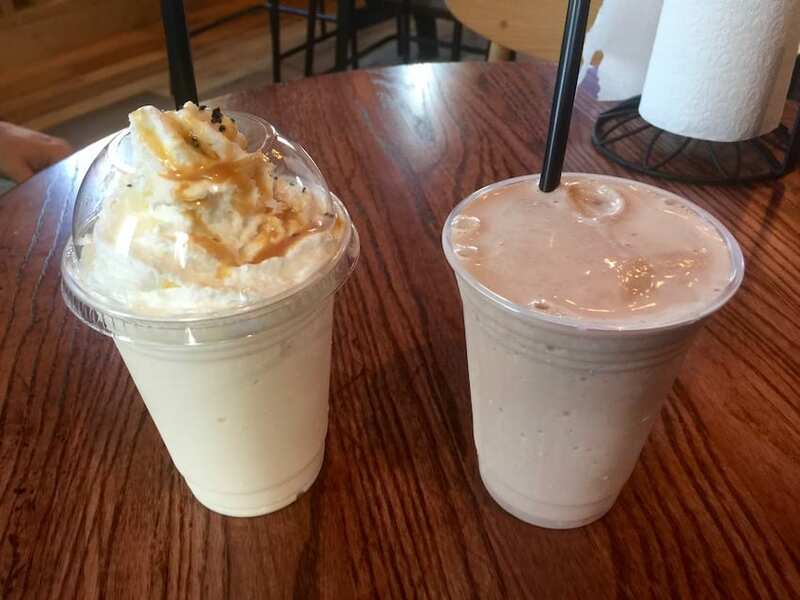 How about a Smoked Bourbon Shake or a Vanilla Porter Shake? Beer and Vanilla Ice Cream mixed together in a cold and creamy concoction… YES PLEASE!! 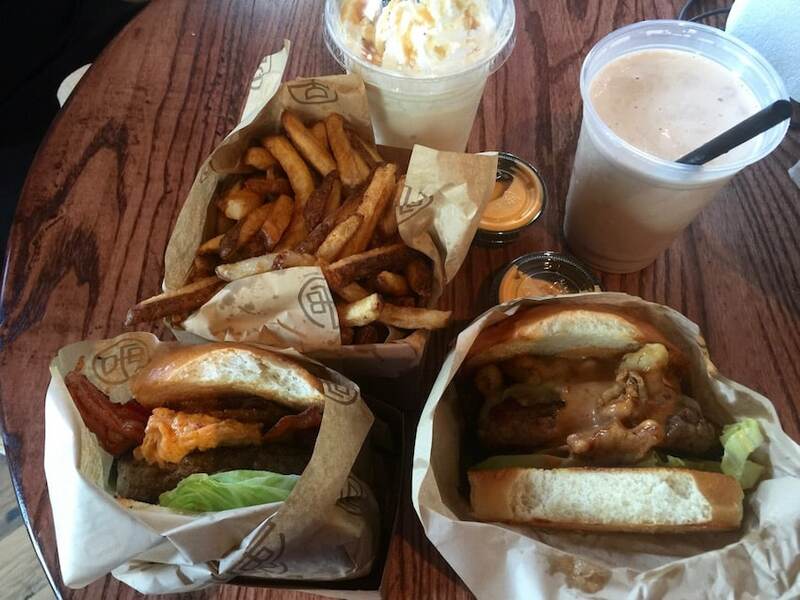 As you can see, there are at least 3 reasons why you should stop in and have lunch or dinner at D-Luxe Burger. The food is great, the shakes are cold, and the atmosphere is superb. Have you been eaten there yet? What did you think?